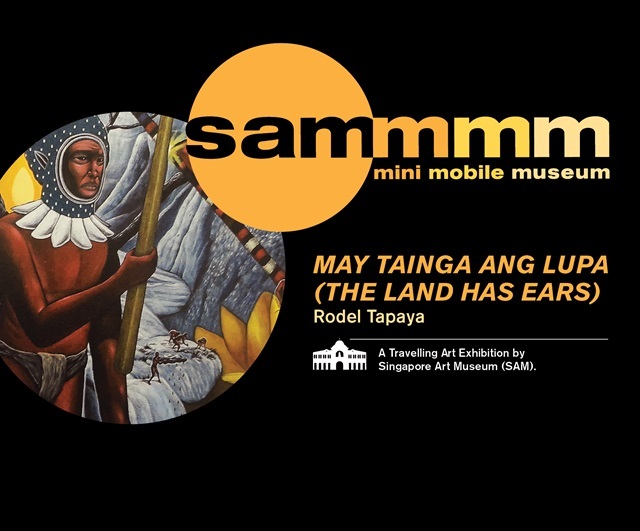 The SAM Mini Mobile Museum is a travelling art exhibition held in partnership with the National Library Board. The Mini Mobile Museum introduces the multifaceted nature of contemporary art through a selection of SAM’s permanent collection artworks, adapted for non-museum spaces and created by Southeast Asian artists. Featuring art forms like drawing, installation, sound and video, the Mini Mobile Museum invites the viewer to an intimate experience of the commissioned artwork within a public space. Every exhibition will be accompanied by self-guided activities for families. Exhibition Venues and Dates 1. Tampines Regional Library: 3 Apr – 12 May 2019 2. Woodlands Regional Library: 15 May – 23 Jun 2019 3. Jurong Regional Library: 26 Jun – 4 Aug 2019 Opens daily, unless otherwise stated. Please check the respective library\'s website for address and opening hours. Hero image: Mary Bernadette Lee, Wanderland, 2017. As part of an artwork presentation at Tampines Regional Library from 6 Mar – 3 Apr 2018.